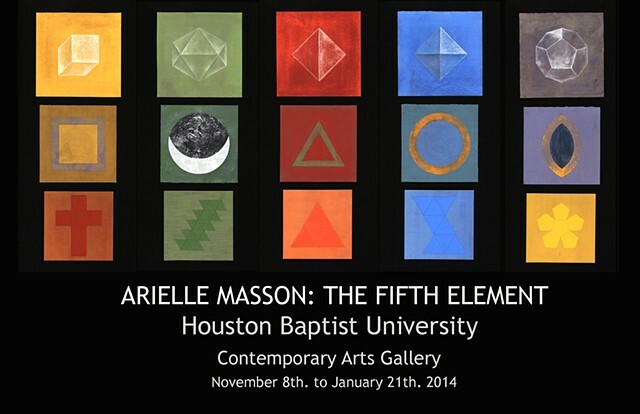 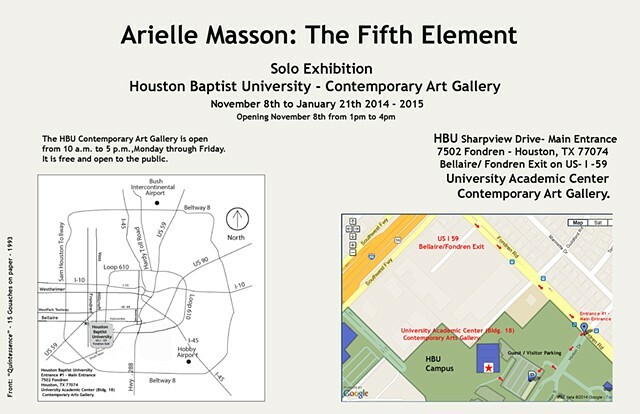 Arielle Masson: The Fifth Element. Since 1993, I have used as a point of departure the single geometric matrix called the “Vesica Piscis” or The Vessel of the Fish, which could be described as the overlapping of two circles, creating an almond shape in between, the Mandorla. 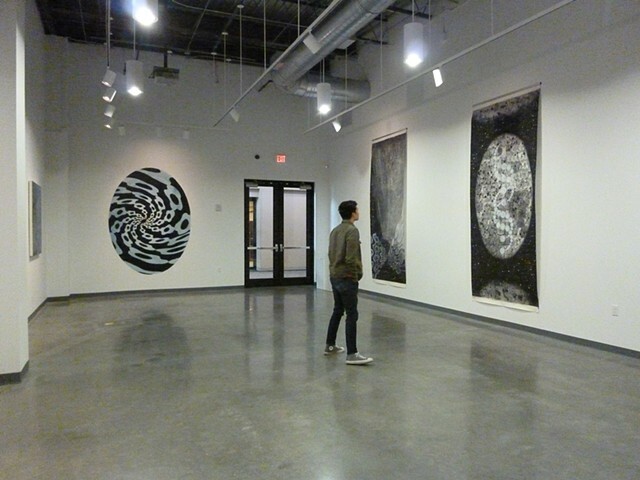 This single module has been acting like a seed generating a circle-based lattice, which has allowed me to create the most varied patterns seen in my paintings.